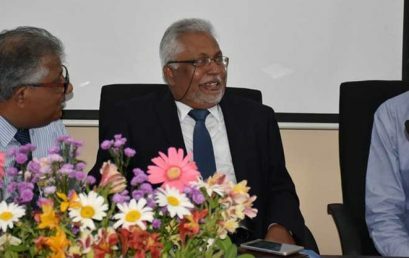 The 3rd lecture of the of “Dean’s Lecture Series‘ was held on 08th March 2019, from 3.00 pm onwards at the Board Room, Faculty of Arts. 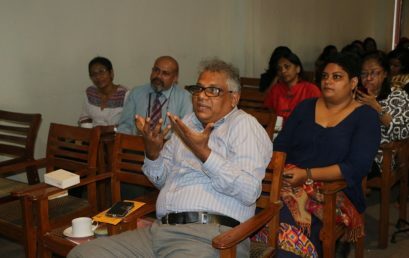 The topic of the lecture was “The Ambiguity of Voice : the role of ‘storeytelling’. 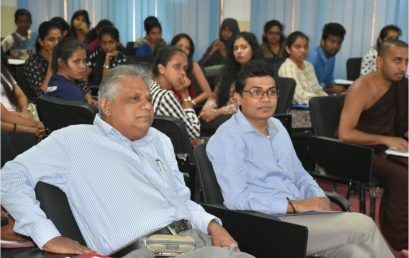 This was a talk by Sarah Kabir based on her book ‘Voices of Peace’ (2018), along with photographer Munira Mutaher. 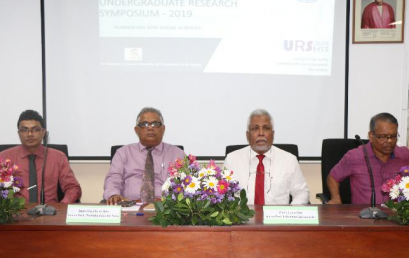 Workshop on ‘Writing Research Abstracts’ – 28th Feb. 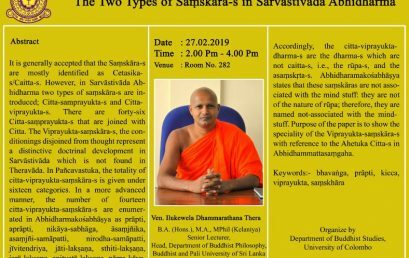 Guest Lecture on “The two types of Saṃskāra-s in Sarvāstivāda Abhidharma” – 27th Feb. 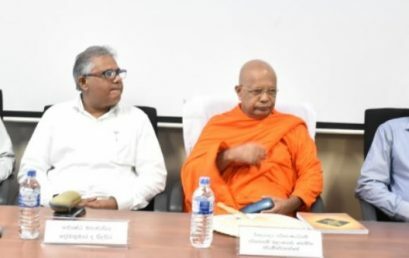 The Department of Buddhist Studies organized a guest lecture on “The Two Types of Saṃskāra-s in Sarvāstivāda Abhidharma” on 27th February 2019, at Room No. 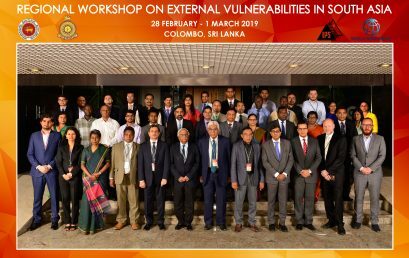 282 from 2.00 pm – 4.00 pm . 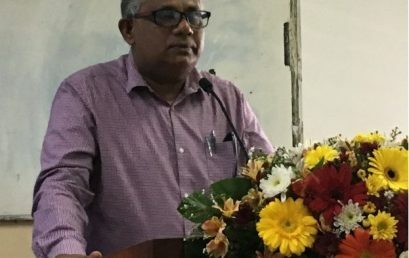 The lecture was delivered by Ven. 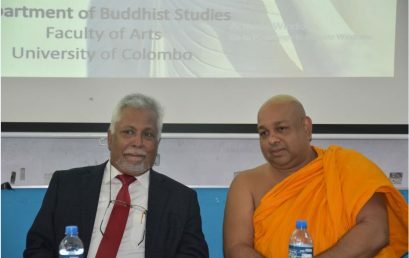 Illukewela Dharmarathana Thero, Head – Department of Buddhist Philosophy, Buddhist and Pali University of Sri Lanka, Homagama. 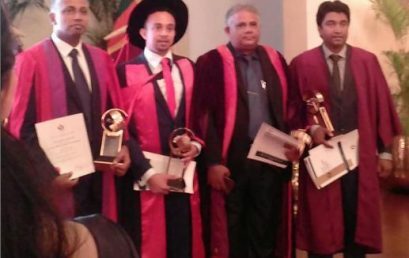 Certificate Awarding Ceremony – 16th Feb.